Inhibition of HIV-1 replication by an aqueous extract of Spirulina (arthrospira platensis). by Ayehunie S. (1), Belay A. (2), Hu Y. (1), Baba T. (1,3), Ruprecht R. (1). (1) Laboratory of Viral Pathogenesis, Dana-Farber Cancer Institute and Harvard Medical School, Boston, MA, USA; (2) Earthrise Farms, Calipatria, CA; (3) Division of Newborn Medicine, Department of Pediatrics, Tufts University, Boston, MA, USA. 7th IAAA Conference, Knysna, South Africa April 17, 1996. Water extract of Spirulina platensis (Arthrospira platensis) inhibits HIV-1 replication in human derived T-cell lines and in human peripheral blood mononuclear cells. A concentration of 5-10 (mcg/ml was found to reduce viral production and/or syncytium formation of about 50%, and a concentration of 100 (mcg/ml showed a 90-100% inhibition without cytotoxicity. The 50% inhibitory concentration (IC50) for cell growth was computed to be between 2-6.5 mg/ml depending on the cell types used; the therapeutic index was >100. The extract also blocked Rauscher murine leukemia virus (RLV)-induced plaques by >95% at concentrations ranging from 75-150 (mcg/ml; the 50% reduction in plaque formation (the 50% effective concentration EC50) was at a concentration of 9-30 (mcg/ml. The extract directly inactivated HIV-1 infectivity when preincubated with virus prior to addition to human T-cell lines at similar inhibitory concentrations. by K. Gustafson, et al. August 16, 1989 . Pub. in Journal of the National Cancer Institute, 81(16) pg. 1254. USA. Evaluation of chemoprevention of oral cancer with spirulina. The blue-green microalgae spirulina, used in daily diets of natives in Africa and America , has been found to be a rich natural source of proteins, carotenoids and other micronutrients. Experimental studies in animal models have demonstrated an inhibitory effect of spirulina algae on oral carcinogenesis. Studies among preschool children in India have demonstrated spirulina fusiformis to be a effective source of dietary vitamin A. We evaluated the chemoproventative activity of spirulina (1 g/day for 12 months) in reversing oral leukoplakia in pan tobacco chewers in Kerala , India . Complete regression of lesions was observed in 20 of 44 (45%) evaluable subjects supplemented with spirulina, as opposed to 3 of 43 (7%) in the placebo arm. When stratified by type of leukoplakia, the response was more pronounced in homogeneous lesions: complete regression was seen in 16 of 28 (57%) subjects with homogeneous leukoplakia, 2 of 8 with erythroplakia, 2 of 4 with verrucous leukoplakia, and 0 of 4 with ulcerated and nodular lesions. Within one year of discontinuing supplements, 9 of 20 (45%) complete responders with spirulina developed recurrent lesions. Supplementation with spirulina did not increase serum concentrations of retinal or beta carotene, nor was it associated with toxicity. This is the first human study evaluating the chemopreventive potential of spirulina. More studies in different settings and different populations are needed for further evaluations. by Lisheng, et al. 1991. Pub. in Marine Sciences, Qingdao , N.5. pp 33-38. China. Inhibition of experimental oral carcinogenesis by topical beta carotene. Beta carotene was found to significantly inhibit the formation of squamous cell carcinoma of hamster buccal pouch when a soultion was applied topically three times weekly for 22 weeks in an experiment with 40 hamsters. In a second experiment with 80 hamsters, beta carotene was found to inhibit oral carcinogenesis in an initiation-promotion hamster buccal pouch system. Beta carotene inhibited both initation and promotion. An extract of Spirulina-Dunaliella algae was shown to prevent tumor development in hamster buccal pouch when a solution was applied topically three times weekly for 28 weeks. Untreated control animals all presented gross tumours of the right buccal pouch. Animals fed canthaxanthin presented a notably and statistically significant reduction in tumour number and size compared with controls. Animals fed beta carotene demonstrated a smaller but statistically significant reduction in tumor number and size. The algae animals presented a complete absence of gross tumors. However, microscopic sections of the buccal pouch in the algae group showed localized areas of dysplasia and early carcinoma-in-situ undergoing destruction. Bioavailability of spirulina carotenes in preschool children. by V. Annapurna, et al. 1991. National Institute of Nutrition , Hyderabad , India . J. Clin. Biochem Nutrition. 10 145-151. India. The bioavailability of total carotenes and beta carotene from spirulina was examined in apparently healthy preschool children and found to be comparable to those values reported for other plant sources like leafy vegetables and carrots. The study also showed spirulina is a good source of Vitamin A, as there was a significant increase in serum retinol levels. Researchers concluded spirulina can be used as a source of Vitamin A in the diet, is relatively inexpensive, has higher beta carotene than any other plant source and can be cultivated throughout the year. Large scale nutritional supplementation with spirulina algae. by C.V. Seshadri. 1993. All India Coordinated Project on Spirulina. Shri Amm Murugappa Chettiar Research Center (MCRC) Madras , India. A one year feeding program with 5,000 pre-school children showed a symptom of Vitamin A deficiency, "Bitot's spot", decreased from 80% to 10%. These rural children near Madras consumed 1 gram of spirulina a day for at least 150 days. This small amount provided the daily requirement of beta carotene (Vitamin A) which can help prevent blindness and eye diseases. In another study with 400 school children, a daily dose of beta carotene from spirulina increased their Vitamin A status to the same level as those administered pure Vitamin A. Spirulina was given to children in a unique way: extruded noodles, sweetened with sugar to preserve the beta carotene. Called "Spiru-Om", it was well accepted by the children. This project was sponsored by the Indian Government. by J. Schwartz, G. Shklar, et al. 1988. Harvard School of Dental Medicine. Pub. in Nutrition and Cancer 11, 127-134. 1988. USA . by E.W. Becker, et al. 1986. Inst. Chem. Pfanz. Pub. in Nutrition Reports Int'l, Vol. 33, No. 4, pg 565. Germany. Effects of spirulina on hypercholesterolemia and fatty liver in rats. by T. Kato and K. Takemoto. 1984. Saitama Medical College . Pub. in Japan Nutr. Foods Assoc. Journal. 37:323. Japan. Rats fed basal diets containing 1% cholesterol showed elevated total cholesterol, and phospholipids in serum. This was clearly reduced by rats fed basal diets containing 16% spirulina and 1% cholesterol.The results indicated spirulina may prevent dietary hypercholesterolemia and arterioscelerosis. Fatty liver caused by high fat and high-cholesterol diets was also reduced rapidly by feeding spirulina. Effects of spirulina on plasma lipoprotein lipase activity in rats. by K. Iwata. 1990. Pub. in Journal Nutr. Sci. Vitaminol. 36:165-171. Japan. The effects of spirulina on lipoprotein lipase activity and hepatic triglyceride lipase activity in post-heparin plasma were studied in fructose-induced hyperlipidemic rats. Male Wistar rats aged 3 weeks old (body weight, 54g) were fed on the high-fructose diet (68%) or the high-fructose diets containing spirulina at the level of 5%, 10%, and 15%, respectively, for 4 weeks. The dietary hyperlipidemia caused by the high-fructose diet was improved by spirulina feeding, accompanied by a significant increase in the lipoprotein lipase activity in post-heparin plasma. Hypocholesterolemic effect of blue-green algae spirulina in albino rats. by M.A. Devi and L.V. Venkataraman. 1983. Pub. in Nutrition Reports Int'l, 28:519-530. India. The effect of spirulina on reduction of serum cholesterol. Effect of water soluble and water insoluble fractions of spirulina over serum lipids and glucose resistance of rats. by Y. Takai, et al. 1991. Pub. in J. Japan Soc. Nutr. Food Science, 44:273-277. Japan. by N. Nayaka , et al. 1986. Tokai Univ. Pub. in Progress in Medicine, Vol. 36, No. 11. Japan. Spirulina - Production & Potential. by Ripley D. Fox. 1996. Pub. by Editions Edisud, La Calade, R.N.7, 13090 Aix-en-Province , France . Tel: 42216144; Fax: 42215620. 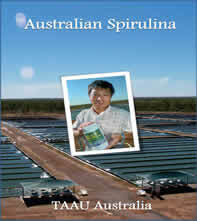 This book gives the most complete and practical information on growing spirulina. It should be consulted by health authorities and development decisionmakers, by spirulina growers and it can be used as a teaching text in universities. Dr. Fox explains the history of the cyanobacteria, Arthrospira platensis, popularly known as the blue-green algae spirulina... its composition, growth requirements and methods for managing the culture (from village level artisanal production to large scale industrial farms). Health benefits are described, with emphasis on its usefulness for combatting malnutrition. Giant farms using seawater are proposed for providing spirulina as a food supplement for the millions of malnourished children living today. Dr. Fox sees spirulina as a million dollar commodity in the near future. Algoculture: Spirulina, hope for a hungry world. by Ripley D. Fox. 1986. Pub. by Edisud, Aix-en-Province , France (in French). Current knowledge on potential health benefits of spirulina. by Amha Belay and Yoshimichi Ota. 1993. Pub. in Journal of Appl. Phycology, 5:235-241. USA. Spirulina is a microscopic algae, produced commercially and sold as a food supplement around the world. Until recently, interest in spirulina was mainly in its nutritive value. This is a critical review of data on therapeutic effects of Spirulina, ranging from reduction of cholesterol and cancer to enhancing the immune system, increasing intestinal lactobacilli, reducing nephrotoxicity by heavy metals and drugs, and radiation protection. by Denise Fox. 1993. In Spirulina, Algae of Life. April 1993. Bulletin No. 12. Pub. by Institute Oceanographique , Monaco. Large scale nutritional supplementation with spirulina alga. Microalgae as Food and Supplement. by Robert A. Kay. 1991. In Critical Reviews in Food Science and Nutr. 30(6):555-573. Pub. by CRC Press. USA. The microalgae chlorella, dunaliella and scenedesmus, and the cyanobacteria spirulina and aphanizomenon flos-aquae, are being used as nutrient dense foods and sources of fine chemicals. They have significant amounts of lipid, protein, chlorophyll, carotenoid, vitamins, minerals, and unique pigments. They may also have potent probiotic compounds that enhance health. Their historical and current use is reviewed. Spirulina: a model for microalgae as human food. by Cambridge Univ. Press, Cambridge , UK. This is an evaluation of the food potential of microalgae using proven technology. Numerous examples of traditional use of inland microalgae are cited from more than 15 countries. The nutritional aspects of spirulina stand out. Spirulina's safety for human consumption, food applications, economic and environmental aspects, world spirulina production, production costs and therapeutic applications are reviewed. How microalgae can address world hunger problems is addressed with mention of harvesting wild algae and village scale production systems. by Orio Ciferri. 1983. In Microbiological Reviews, Dec 1983. 551-578. Italy. In depth review of the history, biology, chemistry and potential of Spirulina as a human and animal food. Subjects: taxonomy, physiology, biochemistry, chemical composition, production, nutrition and toxicology, prospects for use as a food source. Spirulina is a blue green micro algae sold as a concentrated food supplement widely available in natural health food stores. Among food supplements, Spirulina stands out as an excellent dietary source of chlorophyll and available nutrients. According to a scientific review from Latin America , Spirulina has a vast array of beneficial properties. It has been shown to be effective in treatment of allergies, anemia, cancer, high cholesterol, elevated blood sugar, viral infections, inflammatory conditions, liver damage, immunodeficiency, cardiovascular disease, and other conditions. How does this simple algae exercise such profound effects. It is most likely that multiple factors are at work. Spirulina has a variety of micro nutrients, some of which act as anti oxidants. Additionally Spirulina contains certain powerful photosensitizers called chlorins. These could interact with light in the red and infra red range to trigger a photodynamic effect which could kill abnormal cells. It has been noted that most prominent reports of benefit come from very sunny climes. Even more suggestive of chlorins cancer-fighting ability is that Spirulina has been the source of the derivative photosensitizer used to successfully destroy tumors in patients exposed to specialised light sources and whole-body infrared therapy. In another review heightened immunity and tumor reduction has been shown as well as blood improvement. Authors noted that Spirulina has a chemo-protective and radio-protective capability and potential adjunct to cancer therapy. Spirulina has been shown to be effective treating precancerous conditions, including regression in homogenous lesions (usually considered less malignant than non-homogenous lesions), at the low dosage of 1 gram per day. In other work, researchers successfully isolated a protein secreted by a bacteria to reduce and kill some cancer cells. That protein turned out to be a well known molecule called azurin, which is involved in many everyday processes which cells use to generate energy. It was then suggested that therapeutic outcomes could be possible without the toxicity of introduced live bacteria. Spirulina : good source of beta-carotene, but no miracle food. Spirulina - also known as blue-green algae, plant plankton or pond-scum - has been a food of people in Asia, Africa and Mexico . In this country, spirulina is a big seller in health stores and touted as a super food, claiming to provide "enhanced vitality" and treatment for a host of ill-health conditions. Nutritionally speaking, spirulina is a rich source of carotenoids, particularly beta-carotene, and trace minerals including zinc. The exact nutrient profile varies depending on the species and growing environment. Spirulina is also one of the best plant sources of protein. There's no doubt spirulina offers beneficial nutrients. Green is gold for a healthful diet. Spirulina offers preventative health insurance benefits to vegetarians and everybody. This green food contains every essential amino acid from which your body can manufacture all other amino acids. In addition, it contains most of the B vitamins, vitamin E, the minerals calcium, iron, magnesium, manganese, phosphorous, potassium, selenium and zinc - all naturally chelated for greater absorption - as well as carotenoids and chlorophyll. Over and above its ability to prevent and correct pernicious anemia, Spirulina helps to revive a sick liver, reverse gastric ulcers, protect white blood cells from damage by radiation and chemotherapeutic cancer treatments, guard against heavy metal poisoning from cadmium, lead and mercury, and curb senility brought of by deficient diets. Easily digested and assimilated, spirulina is rich in beta carotene, a powerful antioxidant needed for neutralising free radicals which damage, age and kill off healthy cells, and needed for building our resistance against cancer. 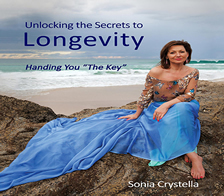 The super-rich amount of beta carotene in this algae also seems to protect the vision of elderly individuals. Spirulina contains many shades of colour, substances that protect against cancer - the greens of chlorophyll, the reds of carotenoids, the blues of phycobilins, the yellows of xanthophylls and the violets of violaxanthins. Spirulina and chlorella have excellent company in the "Green Supplements' Hall of Fame" : green barley grass, alfalfa, chlorophyll and wheat grass. Researchers studying young barley found it to contain perhaps the most active ingredients of almost 200 different leafy green plants, herbs and grasses. For example, Hagiwara was especially impressed that barley leaves contain 20 different enzymes, such as superoxide dismutase (SOD), catalase, transhydrogenase, perosidase and fatty acid oxidase, which are catalysts that break down food elements the body needs for energy and other functions. He noted that the body used the beta carotene to convert to vitamin A, 19 amino acids or links of protein, minerals and vitamins C, E, B1, B2, B3 and B6. Lutz praised barley as one of the most incredible products of the decade, improving stamina, sexual energy, clarity of thought, and reducing addictive resistances. Alfalfa according to Mowery is a kidney tonic, a liver tonic, superlative restorative tonic, a digestive tonic, prostatic tonic, reproductive tonic, musculoskeletal and glandular tonic. An astonishing array of nutrients is present in ample amounts, as well as protein (protein content in alfalfa is 18.9%, beef 16.3 and eggs 13.1. Also, high relative amounts of calcium, phosphorous, iron, magnesium, potassium and fatty acids are complimented with beta carotene, xanthophylls and chlorophyll. Wheat grass according to Earp-Thomas contains more than 100 health boosting elements including all known minerals. Wheat grass, deep green in colour, is the predecessor to actual wheat, also contains more protein than meat, eggs, fish and dairy products, as well as fibre and chlorophyll. Evidence thus continues to build proving that green natural products are essential to developing and restoring abundant health and well-being. At a time when environmental toxins threaten to overwhelm us, green foods offer a great deal of promise. Alfalfa, barley grass, chlorella, chlorophyll, Spirulina and wheat grass are all packed with available nutrients to sustain us and strengthen our immune systems, and neutralise toxins we are constantly exposed to. Conventional salad greens offer many health benefits, but natural super greens such as Spirulina, wheat grass, alfalfa, chlorella, barley grass and chlorophyll can probably not be exceeded for added nutritional competence and insurance. Spirulina. An easily digested and assimilated blue green algae, it contains many cancer preventing pigments - chlorophyll greens, carotenoid reds, phycobilin blues, xanthophyll yellows and violaxanthine violets. Reports state Spirulina's beneficial effects including its use in Aids, cancer, radiation, infant developmental nutrition, heavy metal poisoning, hypertension and cholesterol. Alfalfa is a lentil rather than a grass. Large range of nutrients, including vitamins A, D, K, iron, magnesium, potassium, calcium, phosphorous, beta carotene, chlorophyll, and higher protein than beef eggs and milk. Barley grass. Improves stamina, clarity of thought, sexual energy, addictive response, cell and skin repair. Contains many nutrients, including chlorophyll, abundant B and C vitamins. Chlorella. Said to contain the highest content of nucleic acids - long life factors - and chlorophyll of any food. Used in Japan to protect and remedy against toxic pollution, radiation and heavy metals. Chlorophyll is a major detoxificant. Recent research has indicated that Spirulina has positive effects on infant development, AIDS patients, and aiding Chernobyl victims. These findings also resulted when Spirulina was used as a tracking device in experiments undertaken to study the characteristics and roles of amino acids. Berthold determined Spirulina ideal for developmental improvement because it is edible, rich in protein, with an amino acid profile similar to milk and egg whites. Spirulina has strong detoxification effects, promoting evacuation of radio-nucleotides and radioactivity decrease. According to scientists, Spirulina is the highest beta carotene food thus helping to reduce free radical damage to cells and organs, reducing the risk of cancers. Spirulina, the richest iron food, helps in recovery from anemia, helps malnutrition victims absorb foods and nutrients, and may help reduce the effects of poisoning. Spirulina is the common name given to the variety of blue green algae Spirulina platenis and is derived from the Latin word for spiral which describes this micro algae's cell structure of spiralling filaments. Spirulina contains all eight essential amino acids and 10-12 non essentials, qualifying the description as a complete protein. As significantly, Spirulina is a concentrated raw food easily assimilated by the body actually satisfying hunger. High in nutrition yet low in calories, Spirulina contains high amounts minerals, vitamins (B1,B2, B3, B5, B6, B12, E), iron, phosphorous, magnesium and zinc. Spirulina is easy to add into a diet, meals and drinks, also being useful when fasting and cleansing your system. There is a unique group of substances that are gaining widespread attention across the globe in a nutri-medical sense. Each of the "green" substances are non-oily and hence "lean". Each seems to aid the bodily defences through the effect on the immune system and by promoting cellular integrity (thus the term "fighting machines"), and the chlorophyll qualifies them as "green". They include blue green algae, wheat grass juice, barley juice, Spirulina and various sprouts. John Jeffries comments that we are on the verge of a new wave of knowledge, triggered as it were by the study and use of these "green machines". Some modern research findings may seem astounding. Halliwell, Rister and Fridovich found that superoxide dismutase (SOD) acts an anti-inflamatory compound and may prevent irreversibility of cell damage following heart attack. The enzymes found in the juice (about 100) are very helpful in dissolving protein and fat deposits in the body and may be of help in breaking down cysts, mucoprotein and tumours. Algae. Chlorella is a single cell plant with 19 of the known amino acids, vitamins B1, B, B6, pantothenic acid, folic acid, biotin, PABA, inositol, B12, vitamin A, calcium, magnesium, iron, zinc, iodine, 50% protein and phosphorous. Spirulina is another lean green machine that has more beta carotene and other protective nutrients than many other foods. Spirulina has one of the highest protein contents at 60-70%, all essential amino acids and RNA and DNA nucleic acids. This blue green algae has been called the food of the future. Spirulina is a type of algae found in lakes and ponds, with a history of human use. Considered a complete protein it is also high in minerals and nutrients such as amino acids, vitamins A, B, E, carotenoids, iron, manganese, zinc, copper, selenium, and essential fatty acid. Spirulina has been used in Russia to treat the victims,especially chirdren, of the nuclear at Chernobyl. In these chirdren, whose bon marrow had been damaged from radiation exposure, Spirulina seemed to boost the immune system. Spirulina has many beneficial effects and its uses include immune enhancement, protein supplement, anemia, allergic reactions, anti-biotic illnesses, infection, oral cancer, liver disorders, skin, arthritis. Antioxidant rich food is a choice health topic in recent years for good reason. Daily the world over, peoples face assault on health and immunity which affects our appearance as well as internal systems and organs. Nutrition experts have learned that berries are one of the richest source of bioflavonoids, antioxidants proven to destroy tissue damaging free radicals and reinforce cells that make up blood vessel walls significantly enhancing circulation. The body normally produces enzymes which act as free radical scavengers that neutralise free radicals but under duress is needs help for full spectrum prevention and control. Thus the importance of a diet rich in antioxidants is vital. Many health care practisioners see the wisdom in daily intake of fresh fruit and vegetables of all colours. With juicing one can consume many more enzymes and natural antioxidants than a person on a "good diet". Cells need constant nourishment and juicing is an ideal means to achieve this. The more colour and variety of produce, the more natural antioxidants and nutrients one can consume. Researchers have found that blueberries rank first in antioxidant activity compared to 40 other fruit and vegetables. They also contain beta carotene, vitamins A, C and E, ellagic acid and phenolics that can also act as antioxidants. Blueberries also assist cognitive function, concentration and memory, retina and eye health, glucose metabolism and urinary condition. Cranberry, pomegranates are also key sources of these and other health benefits. Green, black and white teas also provide antioxidant activity. A wide variety of fruits and vegetables and a daily intake of plant based green "super foods" and sprouts is recommended. These include Spirulina, chia seeds, quinoa, Aloe vera, blue berries, avocado, pomegranates, and raw cacao. Each year spirulina has been donated to humanitarian projects around the world and these contributions have also stimulated medical research to promote a more informed and wholistic healing approach. Amid media messages of new viruses, drug resistant bacteria, and ineffective antibiotics, reports from around the world also now indicate that Spirulina is an illness preventing anti-aging food containing significant nutritional substances. These include 60% vegetable protein, beta carotene, iron, chlorophyll, vitamin B12, rare essential fatty acid, phycocyanin, polysaccharides and sulfoglycolipids. One teaspoon of powder or 6 tablets per day increased health and energy. Spirulina regenerates intestinal flora assisting digestion and assimilation of all food. Article also overviews several international and related findings indicating Spirulina's roles in treating radiation, heavy metal and pharmacological poisoning, Aids, cancer, and malnutrition. Spirulina was found to be an excellent food for rapid recovery from malnutrition and related diseases and is able to be consumed without risk. Spirulina is a genus of blue green algae used as a nutritional supplement. Spirulina contains many nutrients, including B vitamins, beta carotene, protein, gamma-linolenic acid, iron, calcium, magnesium, manganese, potassium, selenium, zinc, bioflavonoids, trace minerals, vitamins, and phytochemicals, in a highly bioavailable form. This paper also cites an active role by Spirulina in the growth of beneficial intestinal bacteria. Other associations made include Spirulina's anti-inflamatory and anti-proliferate effects, eminent usefulness as a nutrition aid for malnourished people, immune system promotion, and treatment of damaged cells. Attention is drawn to caution regards Spirulina's sensitivity to pollutants which could easily be concentrated. Infectious organisms may be present and contaminate harvested algae. Reputable sources are recommended. Side effects are primarily gastrointestinal.